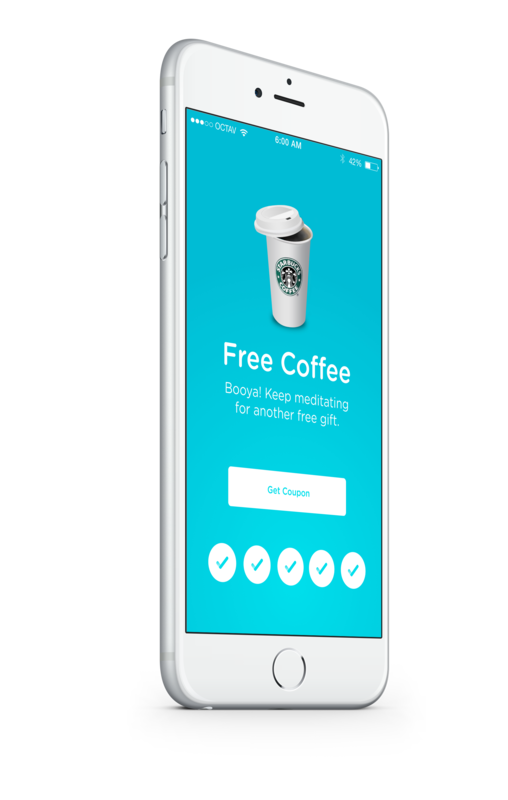 Get rewarded for being happy. Have you ever tried meditating? How about exercising in the morning to start your day? Aura learns what you like, from your favorite foods and drinks to activities and music, then gives you suggestions on ways to make your day better. Dare to try something new and Aura will treat you with a reward. 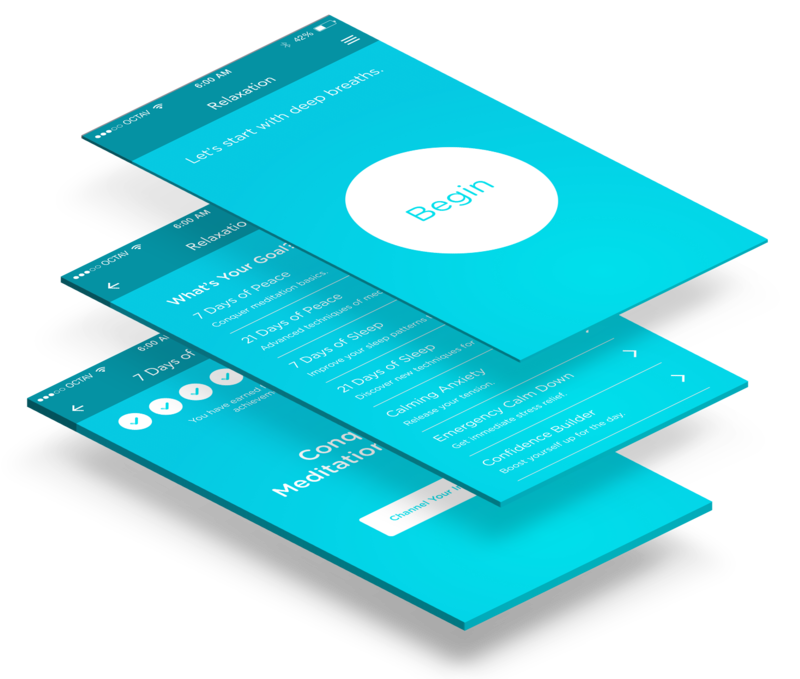 Breaking down the basic building blocks of what increases moods helped develop the navigation for the app. Aura needs to learn the user as fast as possible to provide recommendations on how to make the user's day better. Two ways were developed to make this happen. The user can manually go into system settings and answer questions about their preferences, or through Aura's progressive learning algorithm. After usability testing, features were added that users requested in order to increase it's appeal in the app store. No more jumping out of bed because of your blaring alarm clock. 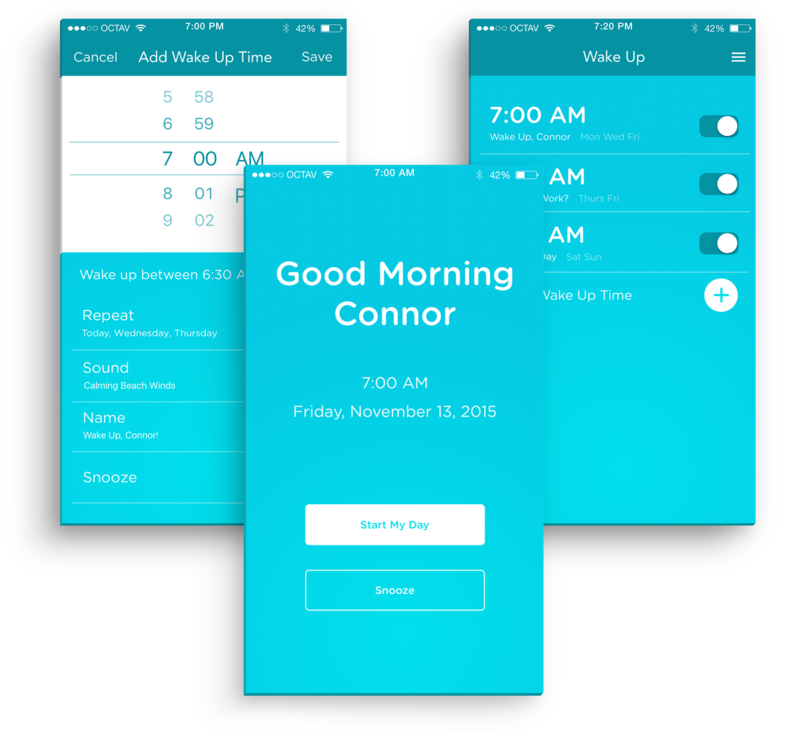 Aura learns your sleep patterns and wakes you up progressively to prevent grogginess and put you in a better mood to start your day. Get Recommendations For A Brighter Day. Do you enjoy trying new things? 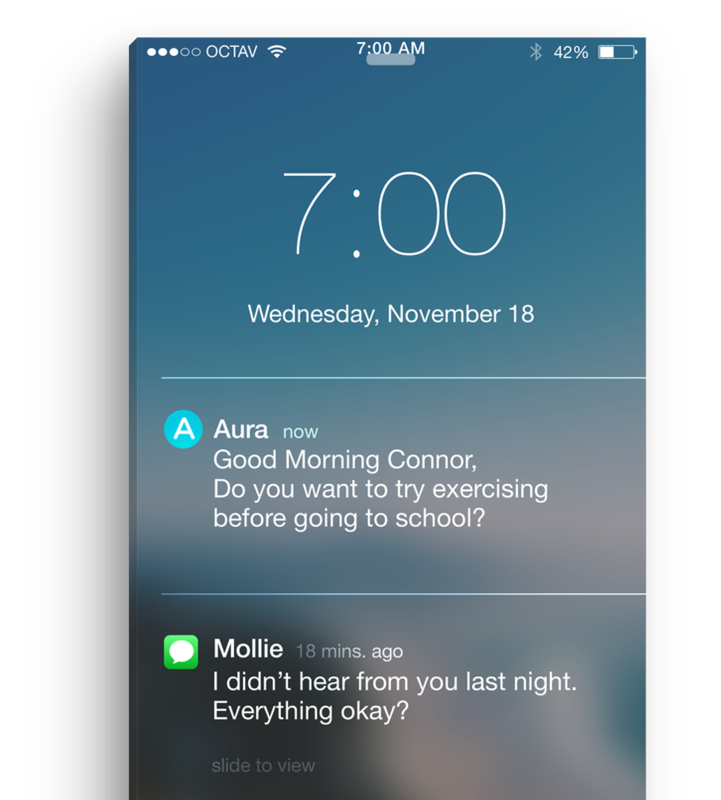 Aura sends you new recommendations every morning, afternoon and evening depending on what your interests are. Aura is always there for you. When Aura notices unusual patterns in your daily routines, she will ask if you are okay, and give recommendations on ways to make your day better and get you feeling happier. Your discovery for inner peace begins with meditation. Aura finds time in your hectic schedule to recommend the best opportunities for meditation. 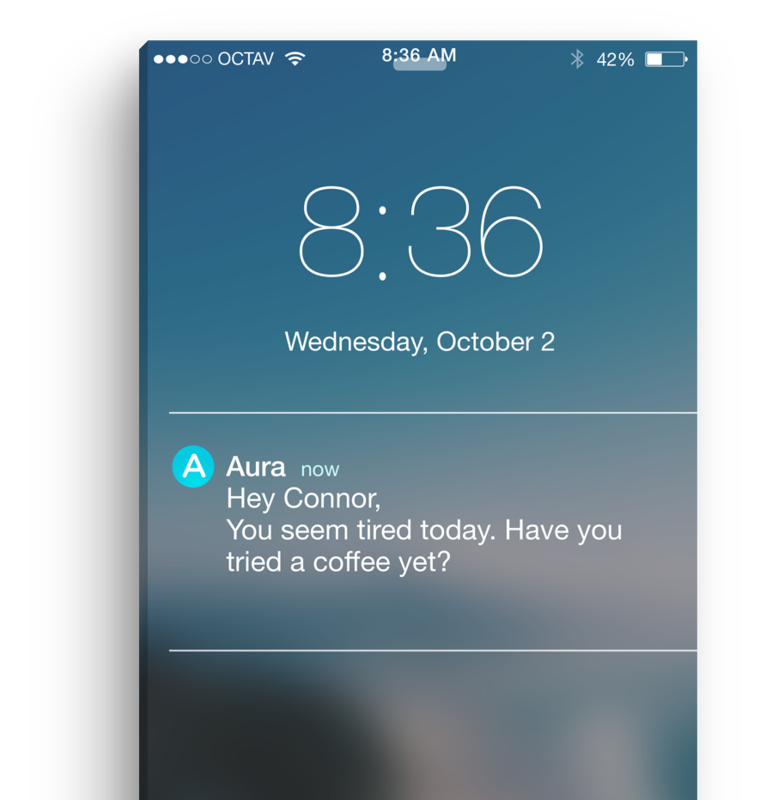 After completing a task, Aura gives you rewards for your accomplishments.